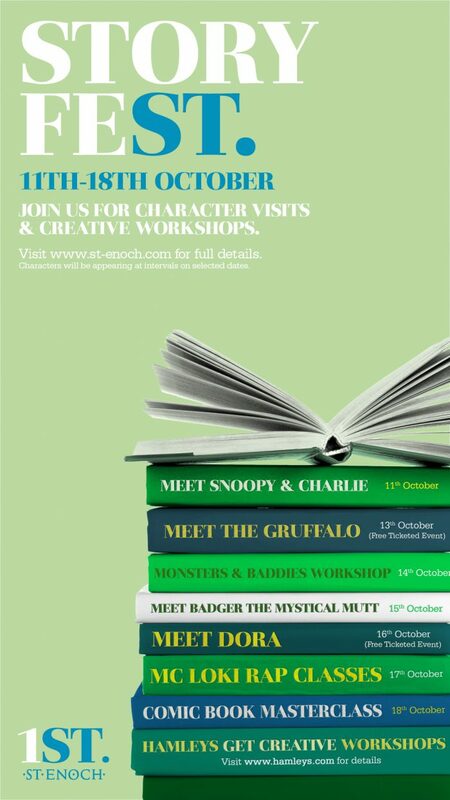 Throughout the October school holidays the St. Enoch Centre, Glasgow will host Story Fest, a programme of events featuring some of the most popular characters from children’s books. As part of the festival we will be conducting comic strip workshops on Sunday the 18th of October. The workshops are free of charge but places are limited and must be booked in advance. The same workshop will be repeated twice during the day. NB- this activity is not suitable for children aged less than 7 years.